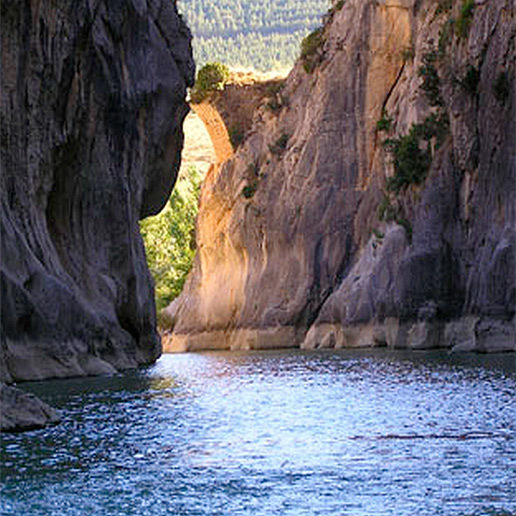 The basins of Aoiz and of Lumbier are areas of transition between the high Navarre Pyrenees and the Medium Area of Navarre. On the South pf Irozqui is la Foz de Ugarrón which is dig out by the river Areta between the bridge of Imirizaldu and the Houses of Berroya; foz where there are many dolmens. Further to the Southeast, in Lumbier you can visit the Interepretation Center of foces de Arbayún and Lumbier that helops to know better the natural environment of this awesome gorges that are in the rocks. In both foces it is worth stopping to observe the differet birds, specially the majestic flight of the vultures, there are hiking routes. On the West you get in to the Valley of Lónguida up to arriving the reservoir of Itoiz that it is the biggest reservoir of Navarre and that picks up the wáter of the river Irati in a beautiful natural landscape which is between the valleys of Arce and Lónguida. And a further to the reservoir of Usoz, 20 minutes far away from the Forest of Irati, surrounded by holm oak and kermes oak in a “foz” of 2 km of lenght. 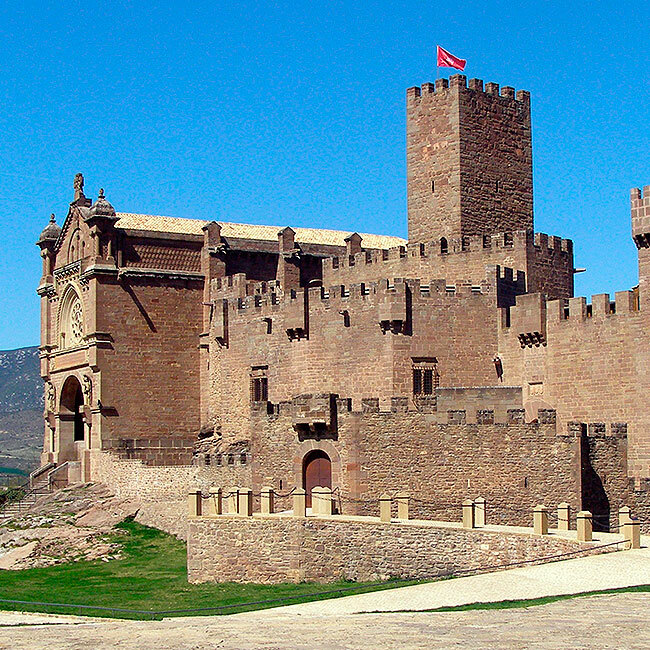 In the environment of Irurozqui there is a considerable historic-artistic heritage, and it is not far away from the Santiago’s Walk that gets into Navarre leaving the reservoir of yesa. 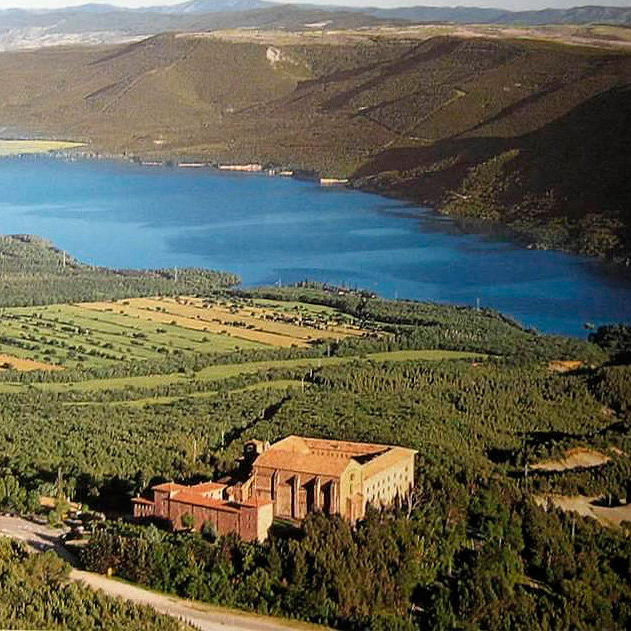 And the Romanesque villa of Liédena is very close to foz Lumber (II-IV centuries).